In 2010, Timothy Jenkins found salvation on a running track after being homeless for 40 years. “I wanted to walk away from the drugs and alcohol so I started exercising [at the Southwest YMCA and the Louisville Athletic Club] and became involved in homeless ministries. 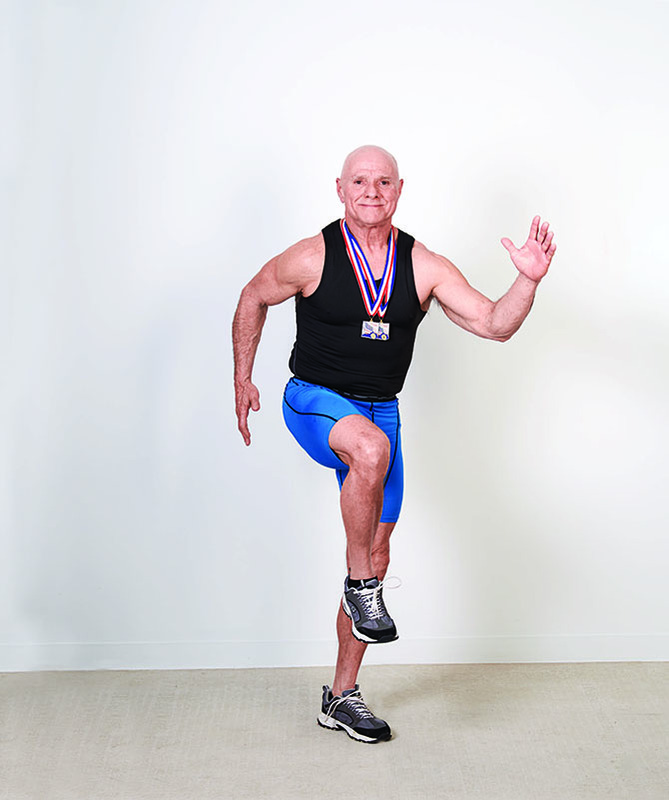 I asked God what I was training for and he said, ‘You need to run.’” Timothy spent a year training for the competition that would turn his life around: he lost 40 pounds, signed up for the Kentucky Senior Games in 2018, and became a record-breaking sprinter. He broke the Kentucky state record in the 50-meter race and finished in second place in the 100-meter race, which earned him two gold medals. Timothy’s achievements qualified him for the National Senior Games this year, which will be held in Albuquerque, New Mexico, June 14-25. It’s a huge accomplishment considering that it was the first time he competed in any sport, but for Timothy, competing is about more than winning medals. He is using his experience as a platform for bringing attention to the problem of homelessness in our country. “God wanted me to do this as a homeless person and give other homeless people hope that they could come back and do something special in their lives,” he says. Extra tidbit: Bob Hobbs' tip for staying ahead of the game...literally.